Vision therapy might sound like some silly new age medical treatment, but it’s actually an incredibly effective form of physical therapy that helps to exercise the eyes and the brain. It’s used to treat individuals with lazy eyes, crossed eyes, double vision, and a slew of other issues. Vision therapy has also proven to be successful in helping people with various reading and learning disabilities. How does vision therapy help learning disabilities? While vision therapy is not a complete treatment for learning disabilities it can help with visual problems that interfere with reading, learning, and educational instruction. This removes one of the most common major hurdles that lend to learning disabilities. Who is vision therapy right for? Vision therapy is a great option for everyone from children to adults. When treating issues like lazy eye, vision therapy has been proven to be incredibly successful in children aged 7-17. When you think of physical therapy you likely think of building muscle strength. Vision therapy is different. It’s not a one size fits all solution and should not be confused with common eye exercises suggested for people who work at a computer all day. Vision therapy is non-surgical. Vision therapy is directed by your optometrist and relies on a variety of tactics and medical equipment to obtain optimal results. This includes corrective lenses, therapeutic lenses, prism lenses, optical filters, eye patches, balance boards for vestibular rehab, electronic targets with timing mechanisms, and visual-motor sensory integration. 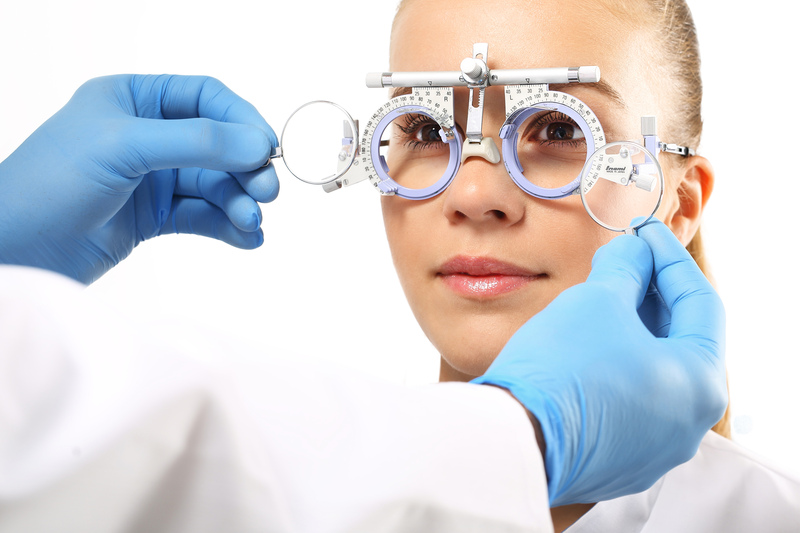 Before starting vision therapy it’s important that you meet with Dr. Trapeni. He will perform a complete assessment of your overall visual health and determine what the best method of therapy would be. What is the goal of vision therapy? The goal of vision therapy is to help patients nurture key visual skills, to improve their visual comfort, and to change how patients process visual data. These improvements maximize the efficacy of the therapy and ensure patients can move on to an improved life. What is visual therapy not? Visual therapy is not to be confused with things like the Bates Method, which claims to give people perfect vision without corrective lenses. It is also not like the self-help programs you see on infomercials that claim to completely change your life through something as simple as pencil push-ups or other hack job methods. Is vision therapy like orthoptics? No. Orthoptics is a term used to describe eye muscle training that addresses just visual clarity and eye teaming. Instead, vision therapy works to alter the entire nervous system so you get long-lasting results that you can carry with you for the remainder of your life. If you’ve struggled with a learning disability or eye ailments and are looking for a non-surgical procedure that could offer long-term results, consider vision therapy. Dr. Trapeni has years of experience in treating patients through vision therapy and is capable of putting together a plan that will meet your unique needs and provide solutions designed just for you.